• 97% of respondents answered “yes” when asked has the homeopathic treatment benefited you in other ways? On an average outpatient cost of £77, the savings deduced to secondary care were in the region of £3,000, a total of £12,000 (£20,000 today). NB At the time the £9,000 savings equated to the total cost of running the service, i.e. it was SELF-FUNDING. 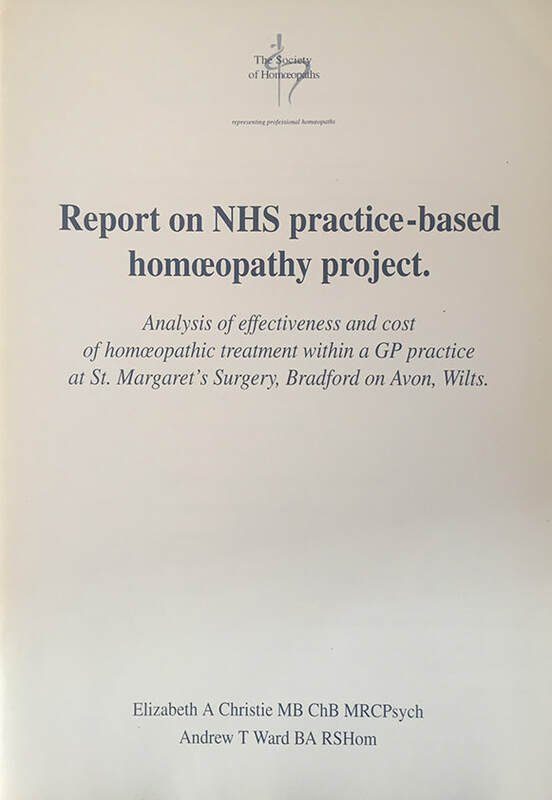 The GPs concluded that the study showed demonstrated “ clear and consistent evidence of the benefits of homeopathic treatment for the conditions referred”; "saved GP consultation visits and time and improved patient satisfaction”; “the per patient savings equate to the annual cost of employing the homeopath - in effect it means the project is self-funding”; “high level of patient satisfaction and benefit to the patient, the most common outcome being no consultation were needed at all in the year after treatment”. A second audit was completed in 2006 and is yet to be published. An in-depth approved and adapted medical health assessment form was sent to patients who had received homeopathic treatment at St Margaret’s Surgery, Bradford-on-Avon, Wiltshire. ​Do you now cope with your condition better? ​Do you now feel more healthy? ​Have you reduced conventional treatment/ medication?